In 1977, Saint Mary's College established an international study program at the Maynooth University. This program offers students an opportunity to live, learn, and play with Irish and international students. 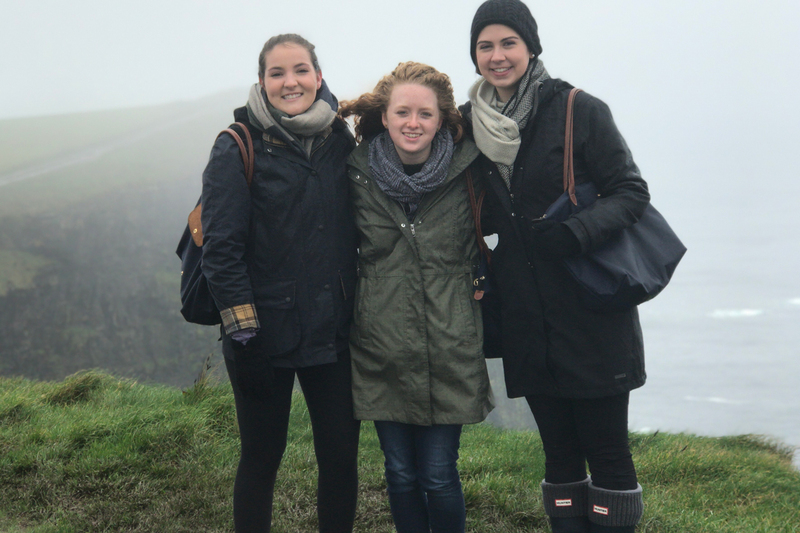 Ireland is a gateway to Europe, and travel opportunities abound for program participants. During breaks and holidays, students can easily travel to other countries in Europe. Such exposure to civilizations other than their own gives students an appreciation of other ways of life. After a year in Ireland, students have grown in independence and often demonstrate a new inner strength. Friendships inside and outside of the Saint Mary's group last a lifetime and reach across the world. The Saint Mary's College Ireland program, located at Maynooth University (MU), Maynooth County, Kildare, is only 14 miles west of Dublin center and 30 minutes from the International Airport. Participants can experience the vibrant pulse of metropolitan Dublin and the more tranquil rhythms of an Irish country town. Bus and rail transportation to Dublin are both inexpensive and frequent. The program is designed primarily for sophomores, but juniors can also attend with permission from their departments. Students attend classes taught by NUIM professors and attended by Irish and international students. The choice of subjects from the curriculum include anthropology, economics, English drama, literature, poetry, fiction and criticism, philosophy, theology, history, mathematics and sociology. Students can study in Ireland for the full academic year or for either the fall or spring semester only. Students live in modern university apartments located near Maynooth University. Each apartment houses five students. There are five single bedrooms with en-suite bathroom, a kitchenette, living room/dining room. Students are typically placed with Irish and other international students. The Arts Building, Students Sport's Center, Student Union Arts Block, and Medical Center are all near the apartments. Students arrange their own flight to Dublin; their is an optional group flight that students can arrange to join if they wish. During orientation, students move into apartments, register at MU, and tour Dublin, Kildare and County Wicklow. Students pay Saint Mary's College tuition, room & board. This covers all expenses during the orientation program in Ireland, tuition at MU, room, planned educational trips and health insurance. Expenses that are not covered by tuition are passport fees, domestic and international airfare, personal travel, books and supplies, laundry, food, and personal expenditures. Every student is given a Heritage Card for free entrance to all national monuments. Students can also use this card while traveling independently. All financial aid, except campus employment and the tuition benefit from the CIC and CCCTE tuition exchange programs, can be applied to the Ireland Program for Saint Mary's students. The Ireland program is open to undergraduates from all accredited institutions. Eligibility is based on academic record, 3 letters of recommendations, and the assurance of readiness for living and studying overseas. To be eligible for consideration, the student must have a cumulative grade point average of at least 2.8 on the 4.0 system. For more information on Maynooth University.